1. "A Monumental Challenge to Danish History" by Mathias Danbolt and Michael K. Wilson for Kunstkritikk. 2. 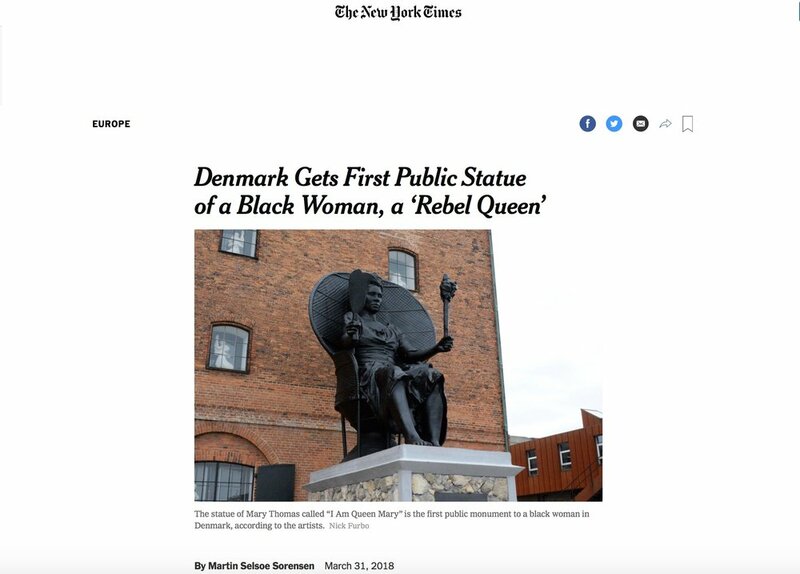 Martin Selsøe Sørensen's article in The New York Times, "Denmark Gets Statue of a ‘Rebel Queen’ Who Led Fiery Revolt Against Colonialism". 3. Being referenced by The Guardian in this article about Winnie Mandela's legacy. 4. "A Mighty Woman With a Torch", Yvette Brackmann's reportage for Kunstkritikk. 5. I Do Art's interview and article "'Hvem er det?' Tænker du, og, 'Hvorfor ved jeg ikke det?'" (Who is that? And How Come I Don't Know?). 6. 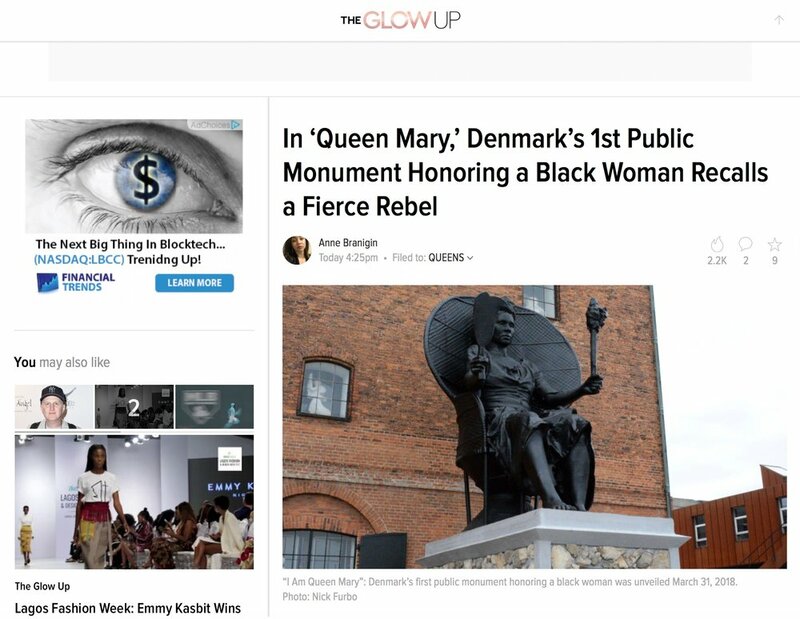 Gabrielle Bruney's article for Vice, "This Black Woman Who Led a Labor Uprising Is Finally Getting a Monument". 7. 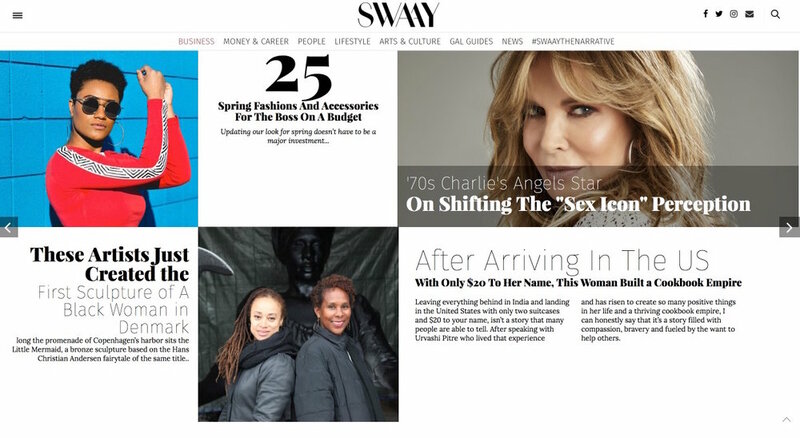 Op-Ed for the digital publication SWAAY.